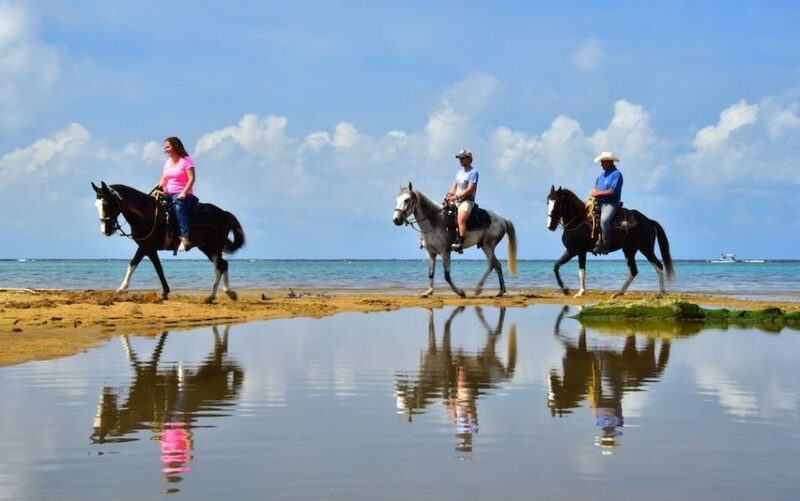 Explore pristine beaches or seaside villages on horseback during your next stay at Anthony’s Key Resort. 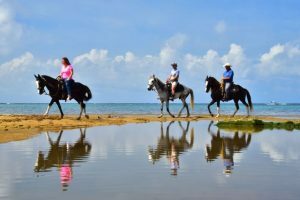 Our amazing all-inclusive Bay Islands resort includes two fantastic opportunities for horseback riding on Roatan. If you’re interested in sightseeing or taking a guided tour, there’s no better way to do it! Preview the many ways you can add these excursions to your next booking below. Located across the water from Anthony’s Key, Sandy Bay is a quiet neighborhood on the west side of Roatan Island. Aside from housing some of Anthony’s Key Resort’s dining room, sunset viewing deck, and clubhouse, it’s also the perfect setting for a gentle horseback ride. Imagine trotting through the Sandy Beach or galloping along the beach with the waves crashing around you. It’s ideal for anyone hoping to sightsee along the shore. It’s suitable for first-time riders as well as more experienced equestrians. The minimum age for this add-on is eight years old, and an adult must accompany guests who are 8 to 12 years old. In total, it lasts around 45 minutes. Guests hoping to explore more of our beautiful country may want to book our overnight excursion to Copan Ruins. Here, guests can tour one of the best-preserved Mayan sites in the world. There are nearly 4,000 structures that have remained, including altars and temples. The excursion package includes transportation to the site, a one-night stay in a local hotel, two meals, entrance fees to the ruins, and a professional bilingual guide. While you’re in Copan, you can add a ride to the Hacienda San Lucas to your trip. During your journey, you’ll get to explore a typical regional farm (or finca). 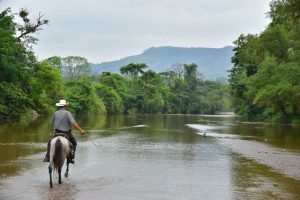 This add-on includes a horse, donkey, or mule ride, as well as entrance fees and a bilingual guide. If you’re interested in the many other wonderful add-ons to the Copan Valley excursion (like an afternoon hot springs trip! ), take a look at our website! Horseback riding on Roatan is just one of the many things you’ll experience during your stay at Anthony’s Key Resort. While we may be known for our world-class dive program, we can also provide our guests with many once-in-a-lifetime excursions that show them the true heart of our stunning country and the surrounding Bay Islands. Whether you’d prefer to spend your days paddling the waters of the Roatan Lagoon or indulging in a luxurious massage or facial at our very own Ixora Spa, the staff at Anthony’s Key Resort will make sure that your stay is one that you will never forget. Take a look at our many beautiful accommodations. Guests hoping for a private escape will love our hillside bungalows. 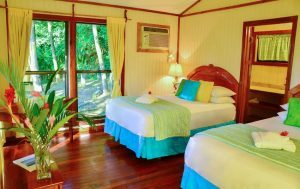 Book one of the Hill Superior bungalows and surround yourself with the lush tropical foliage of Anthony’s Key. The bungalow is air-conditioned, weather-sealed, and fitted with floor-to-ceiling glass windows which will give you a spectacular view of the surrounding area. Check our availability and book your getaway now! We look forward to having you!